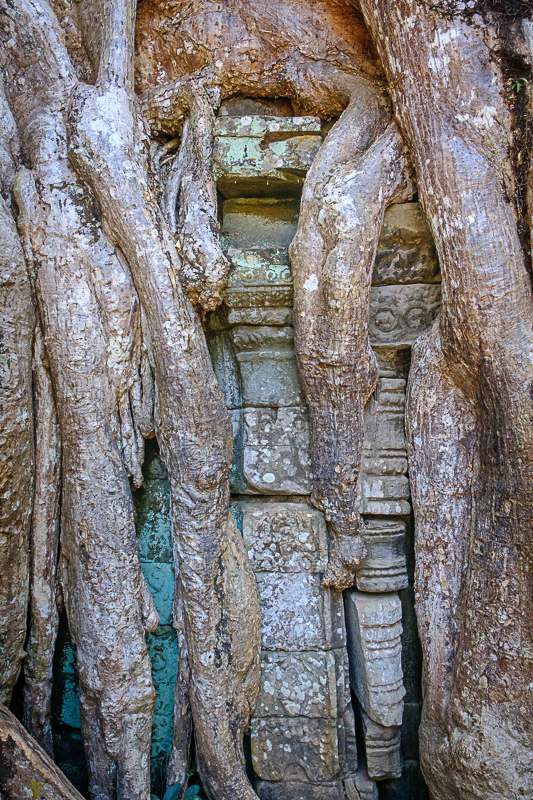 Perhaps the most striking sight in Cambodia, the sign of the passage of time, is these ruins completely overtaken by massive trees, the walls completely encased in roots. I couldn’t find any decent broad shot that would convey the strange majesty of it all, so I went the other way and looked for detailed views. This, ultimately, is a good way of highlighting the fight between nature and architecture.